On page 153 in the new Gut and Psychology Syndrome Book Dr. Natasha recommends starting the day with some still mineral water with a bit of apple cider vinegar or lemon juice in it on the full GAPS diet. This was one part of the GAPS protocol that I had never been consistent with. It wasn’t until I was looking up natural cures for, ahem, PMS that I considered trying the daily addition of apple cider vinegar to my water. Last month I tried adding apple cider vinegar to my water, at first it was a tablespoon in my first cup of water and I had to force it down, but as the month went by I enjoyed the addition so much that I drank a splash in each cup of water I drank, which worked out to being approximately 2 tablespoons a day. I was happy to see that my cycle came and went with a big reduction of PMS symptoms (I absolutely cannot stand when I’m irritable and I know it’s hormonal!). I noticed that my front teeth, which had become slightly transparent around the edges due to drinking too much coffee (yes, I started drinking coffee again! Keeping it honest…) started filling back in solidly. As we’re in Arizona now, we need to be drinking lots of water in the summer. Adding the apple cider vinegar to it made it taste different than just plain water and prevented me from feeling ‘waterlogged’ if I drank a lot. and apple cider vinegar is cheap, so it’s worth it to get the raw ‘with the mother’ version for added enzymes. Vinegar is a cultured food, is thought to be pH balancing (something I’m first to admit I know very little about), and has been a traditional folk remedy for thousands of years. When I told my midwife/friend that I was trying ACV daily she told me that both her grandmothers drank a shot of vinegar each morning ‘for good health’. I’ve heard of people adding some raw honey to the vinegar-water, but I haven’t been doing that. We’ve been using less sweeteners since being on GAPS, we’ve been losing our taste for them. I’ll post more about this later, but we purchased a Berkey Water System when we moved down here since Arizona fluoridates their water, and the water tastes awful. Prior to purchasing the system we were spending $1/day or so on bottled water, and hauling around that many jugs of water is just a pain, so this investment has been great for us. We bought the Travel Berkey with the extra fluoride filters, and have been very happy with it. I thought I better note it here, since it’s pictured up top and I knew you would have questions! A couple things- I’m in the process of making a GAPS Recipes section of my blog, to help all of you on the GAPS diet or other grain free diets! And my feed is broken. I have a designer re-designing my blog right now to make it more user friendly, faster to load, and prettier right now, and the email feed should be fixed with all this. I’ve been doing this for a while now, and it’s still working great! If I forget to drink apple cider vinegar for a while (usuallly because I forget to buy it at the store) then that month I do notice more mood swings before my cycle. And yes, I was going to ask you about water! Way to be pro-active! Joan, I have a lot of experience w/ ACV and reflux. If taken straight. If diluted you will get mild results. But for some reason chasing it w/ water is fine. 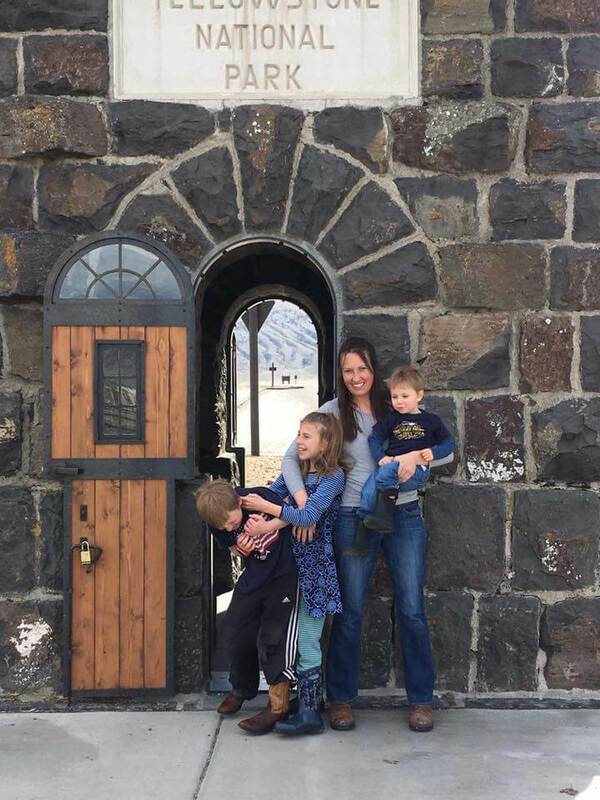 My husband had violent reflux and so did my father. I had mild and my son had “tummy hurts”. All gone w/ in a week or so. COMPLETELY!! My husband eat traditionally so it only reoccurs if we eat a big meal out that was really ill prepared. Then only a very full feeling (which shouldn’t happen) and we all line up in the kitchen and take a “cap-full” and feel well w/in about 1-5 minutes. If we still feel full w/in the 5 minutes then we take another cap full. Since we have been doing it so much we can tell how much we need at the beginning and we no longer need to come back, we would have already taken the second cap full w/ the first. I hope this was helpful. I hope you didn’t mind me jumping into your conversation. I take mine every morning for hot flashes, it definitely has shown a difference. I take it at night in hot water (boiled) with a little Stevia and 1/2 tsp cinnamon for sleep, also notice an improvement with this. I have not noticed any weight loss taking it twice a day though. I wonder if it just ‘can’ help with weight loss? I lost weight when I started it, but there were a bunch of other things going on that also would have contributed… mainly it being too hot to cook/eat! I also take a daily dose of ACV in the morning – I feel like it helps the day start out right :) I use organic, raw acv, and it actually tastes really nice and apple-y, which was a surprise to me. I had no idea that it helps with sleep; I’ll have to tell my husband, who suffers from chronic sleep issues – maybe he’ll finally join me in taking some! what kind do you take. i can’t stand the Braggs kind. makes me gag. Years ago I added apple cider vinegar to my drinking water and recall my digestion was much better. I add fresh lemon juice now and use the apple cider vinegar to rinse my hair. I’m several years into menopause but still get hot flashes from time to time. I’ll try the ACV again and see if it helps. Merle has the transparent tooth issue from drinking soda. I told him about your results hoping he will try ACV. I wonder if it rinsed away the acid of the coffee? Hi Darris! I’d love to know if ACV helps you! It took me a couple weeks before I noticed a difference, but then it was pretty apparent. 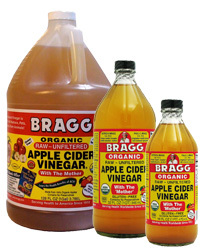 Just so you know, Bragg is making an all natural apple cider vinegar drink in 4 flavors. Some have a touch of fruit juice in them, but my favorite is “Ginger Spice” which is just water, ACV, organic ginger and stevia. They are really good, even my kids drink them. I also use ACV in salad dressings with some herbs, raw pressed garlic, and olive oil. Update: After 2 full months on ACV I had absolutely no PMS symptoms that I noticed at all! I’m so excited to have found your blog! I signed up to start the intro GAPs diet Oct 1st. I would like to try the AVC. Can I do it on the into or wait? Also we don’t have a whole house water filter, how long should I do the detox bath? I’d get a shower filter, I just use my shower filter to fill up my tub too :) I think detox baths are supposed to be about 20 minutes. I just wanted to say that after starting GAPS I noticed that my teeth were turning “transparent”. I couldn’t believe it because I thought GAPS helped teeth!?! The only information I could find online was for vegans…ugh, okay. So I went to my dentist and guess what? It was STAINING! The licorice extract I was taking for my allergies was staining my teeth. I am guessing the acidity of the ACV helped counteract the staining of the coffee. On a happy note, GAPS did heal a cavity. Help! I have tried this and it makes me sick! It is like an instant laxative. What am I doing wrong? It can cause a die off reaction as it is antifungal.Try starting from a teaspoon and watch your reaction.Increase when you feel more settled. I wanted to ask a quick question about GAPS before I do my own thorough research. Is stevia allowed on GAPS? You might want to ask your question on the GAPS Help list http://gapsdiet.com/Support.html – I’d love to be able to answer everyone’s questions, but I just don’t have enough time right now. I’m doing a lot of reading to see if I should try ACV as my teeth look a bit translucent to me and have been a little sensitive. Some have suggested that if you do take it drinking it with a straw to keep it from coming in contact with the teeth is a good idea. Also, brushing your teeth afterwards. 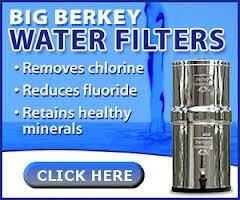 Have you tested your water to see how much fluoride the Berkey removes? I’m just curious. I bought a Berkey and later contacted them about their reductions and the test they ran had a huge concentration for the influent and the effluent was the amount found in fluoridated tap water. 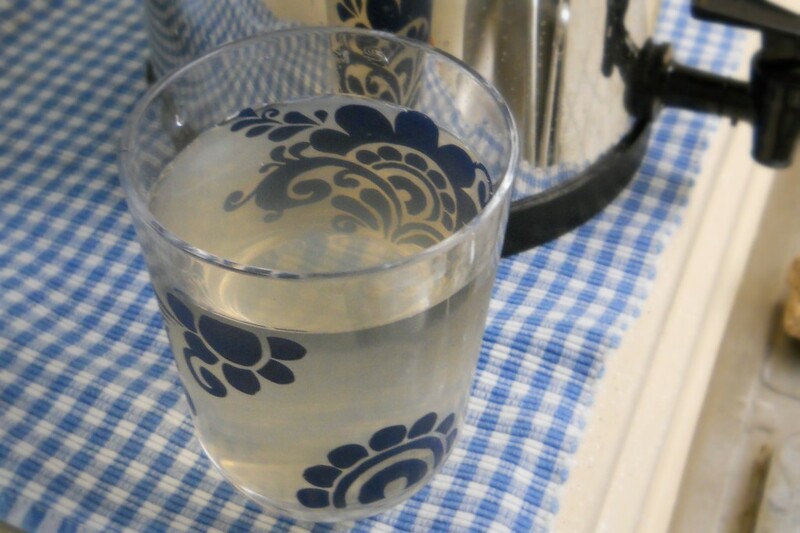 I’m not convinced it is taking fluoride out of my water so thought I’d ask here. And I’m getting a cold so I will try the apple cider vinegar! The very best way to have acv is with raw honey. If you make a syrup of equal parts raw acv to raw honey, then mix together until it dissolves (with a wooden spoon) then store in a glass container. You have a syrup that can be added to water to taste anytime. Because of the equal parts sweet to sour it tastes a lot like lemonade.. This is an old folk remedy that heals about everything and you get all the nutrients, enzymes, etc. of both these super foods. I’ve changed the way I eat, starting about 18 months ago, to help my and my daughter’s teeth become more healthy. Lately however my teeth have been a bit sensitive and I think a bit translucent. 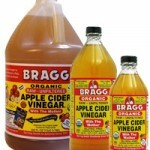 When I think of taking ACV I worry about the acid eating away at the enamel. Then I read the above post about teeth “filling in” after taking the ACV…so is it really safe for teeth that are sickly? Berkey admits on their site that their regular filters do not filter out floridation. They DO sell a separate filter which filters out fluoride. We have had amazing results with RACV… my 18 y/o has been taking it and found her monthly cramps have mostly gone away, she also noticed that her acne cleared up for several month (recently coming back and wondering why so she is going to increase her RACV) and her and another daughter have both experienced skin conditions improving almost overnight (my 2nd daughter doesn’t care for the drink so her’s has come back so she’s talking about drinking it again). My oldest mixes hers with raw organic honey and unsweetened cranberry juice. I like mine with just water and sometimes lemon juice – for some reason adding sweetness (honey) makes it harder for me to drink. LOVE the stuff. Hello! aabegkk interesting aabegkk site! I’m really like it! Very, very aabegkk good! I’m actually going to attempt to make my own ACV because we had a great apple harvest this year. I’ll let you know how it turns out. How does it actually help minimize pms symptoms? Does it effect hormones or flush them out? Sorry. Hard to follow this on my little phone screen. Does it help adrenal or thyroid glands? does avc help high blood pressure,what can help dystonia. can assume you are an expert in this subject. I’m impressed with the results from ACV. Does it have to be the organic kind ? to bring an issue to light and make it important. More people have to read this and understand this side of the story. Hi, i am so happy i found this blog. Just wanted to ask is ACV good for Hyperthyroidism? I want to use natural remedies first before going on medication. I don’t know if anyone of you guys has hyperthyroidism. Please help. The week before my period is horrible..bloating,cramps,tender breasts,moody, etc etc… Going out to buy ACV today at the Health food Store!! My symptoms get worse every month..soon hitting the big 50!! Plan on doing a shot of this every morning!! Cheers!! Here’s to PMS relief!! what absolute nonsense. Please point out a peer reviewed study that shows drinking apple cider vinegar helps you lose weight…NO credibility in that statement. I put ACV on my salad every night as a salad dressing. My Chiropractor recommended ACV as I was having a lot of Urinary Tract infections. Ever since I have been using ACV—-4 years— no trouble at all.